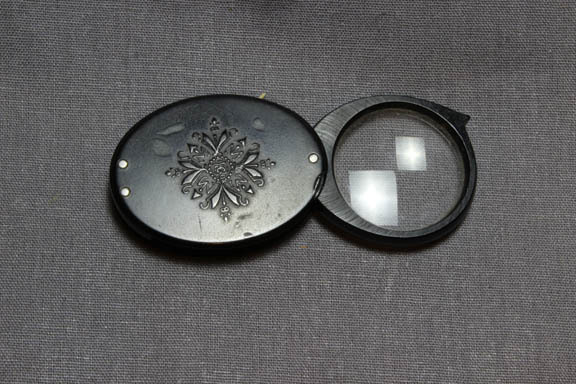 c. late 19th to early 20th C.
This is a folding pocket magnifier encased in hard rubber. 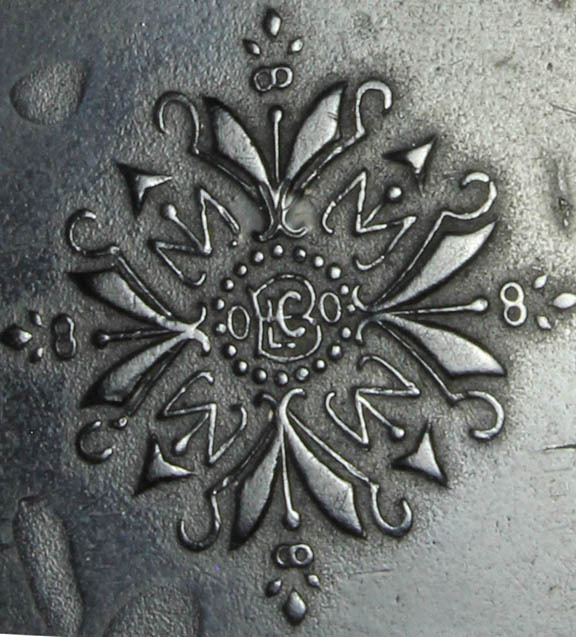 Its decoration conceals in its center an insignia of the Bausch & Lomb optical Company abbreviated as 'B L o Co' with the L and C encased in the B with an o on either side. 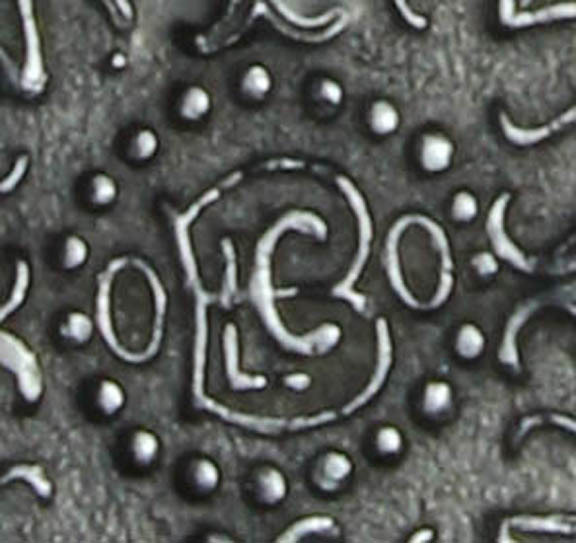 This would be hard to notice unless one were looking for it and in fact, ironicly, requires a magnifying device to clearly make out the letters. The lens has about a 25.5 mm usable diameter. It magnifies about 2 to 3 power. 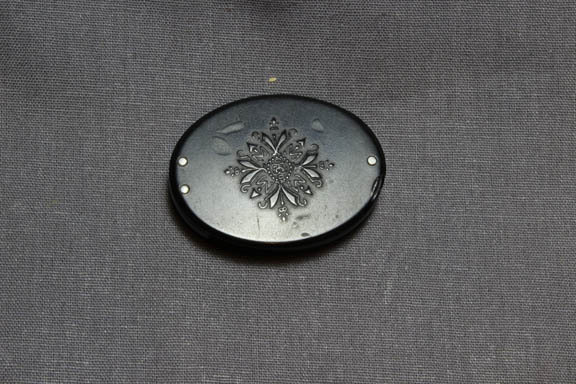 The outer oval casing measures about 30 x 40 x 9 mm. 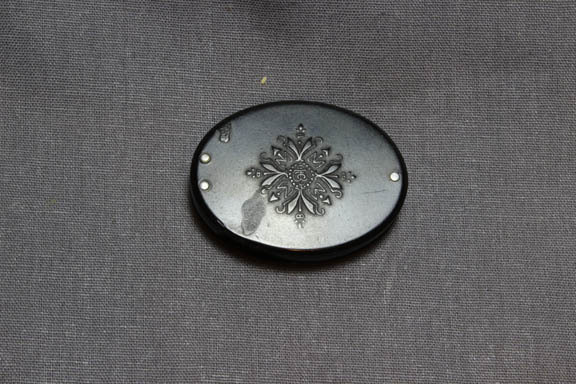 On one side is a single pin serving as a hinge and on the other two pins hold the two decorated parts against a spacer. These pins appear to be made of Nickel Silver (German-silver). 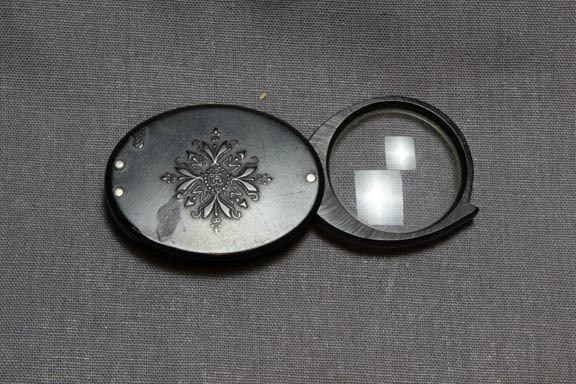 This magnifier was made for many years. I have found it listed in every B & L catalog I have. 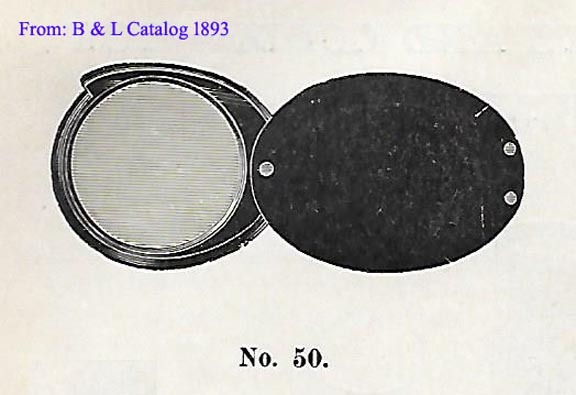 In the 1893 catalog it states it had already been made for almost 50 years but this is more likely to be 40 years, as B & L was founded about 1853. Hard rubber, was patented by Goodyear in 1844.